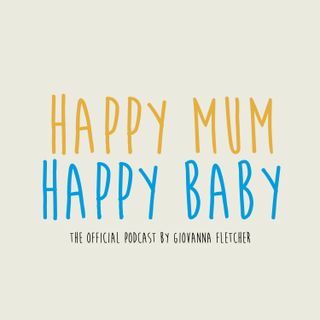 In the Happy Mum, Happy Baby Podcast, Giovanna Fletcher continues the conversation about motherhood she began in her bestselling book of the same title. In a series of frank and warm conversations with other high-profile mums and dads, Gi discusses all aspects of parenthood - the highs, the lows, the challenges and rewards. There is no such thing as the perfect parent, and we’re all simply doing our best, something Giovanna fully encourages. It’s time to stop comparing ourselves and champion ... Maggiori informazioni each other instead. Each episode is truly unique yet unifying. No topic is out of bounds, therefore this podcast is essential listening for any parent seeking solidarity and support. A Pixiu production.